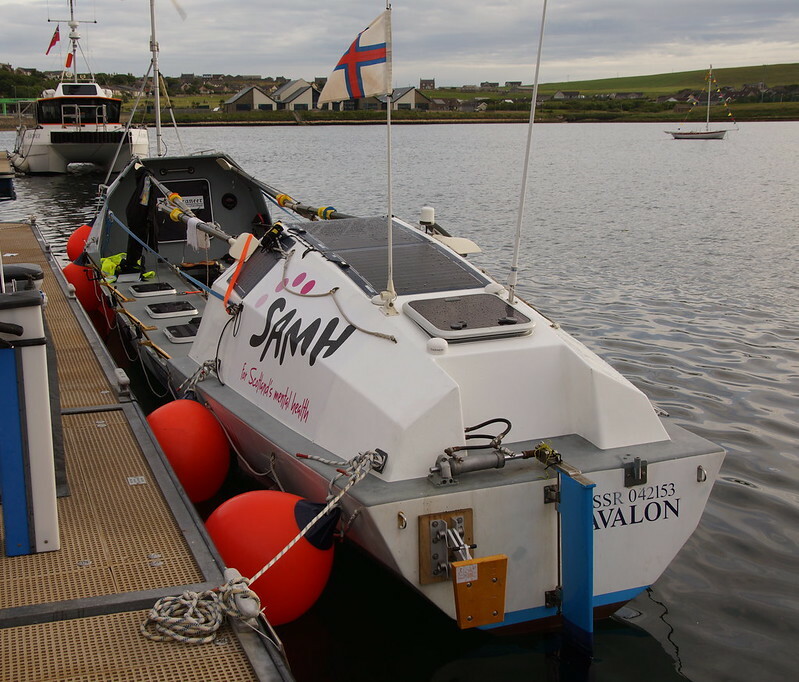 I had another lazy start on the 30th of July, as the choices (to hit the tide in Hoy Sound) were 2am and 2pm. Not a hard choice, actually. I had a gorgeous sail into a NW 3/4, arriving in Stromness about 7pm. I spent two nights in Stromness, catching up with some friends in Orkney, and visiting the Ring of Brognar & Scara Brae. Angus made a long bus/ferry journey up from Aberdeen to rejoin the boat. On reflection he'd have been better flying - especially as the bus was late for the ferry and he had to spend a night in Thurso.